Hi! I'm Kathryn, and I design for My Memories. We're nearing the end of my fourth round of my scrap series, From A to Z! With every post, I'll show you a style, element, or other scrap secret to make your pages look amazing. 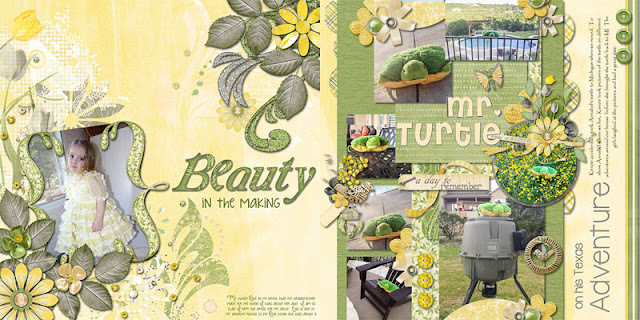 The talented ladies on my Creative Team give me plenty of inspirational layouts, and I'm happy to share them with you! Who doesn't love yellow? 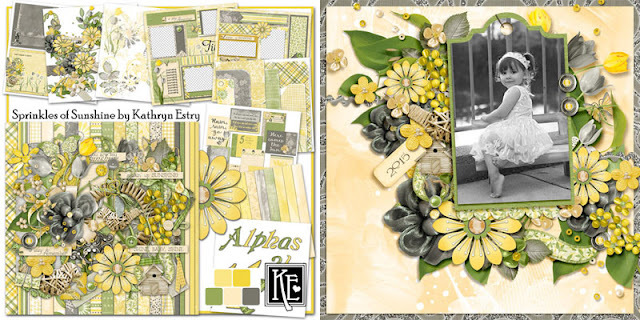 It's such a bright and cheery color, and I have 2 collections to share with you today that show how pretty yellow can be. 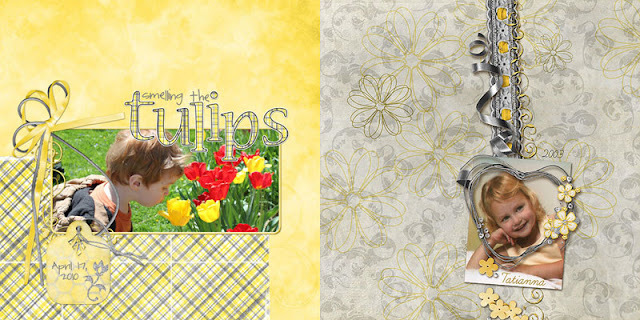 Terry, Monica, and Robin have used Ali's Attic, and Anita, Rhonda, and Lori chose Sprinkles of Sunshine for their yellow layouts. Thank you, Ladies! 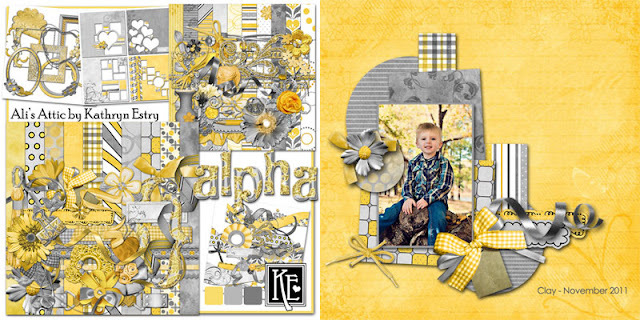 Remember to head over to my A to Z Challenge, check out the prize, and show me a layout with yellow as the dominant color.